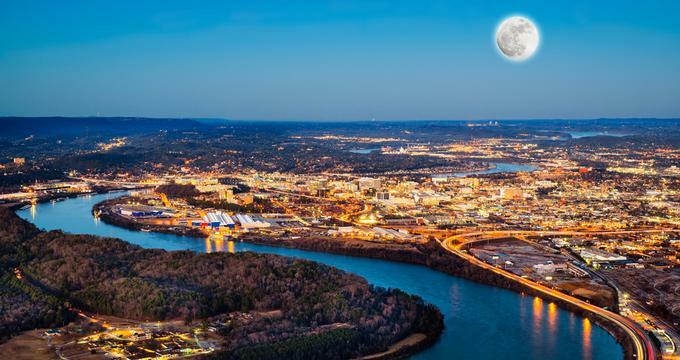 Plan a romantic weekend getaway to Chattanooga and explore the city’s diverse culinary scene. 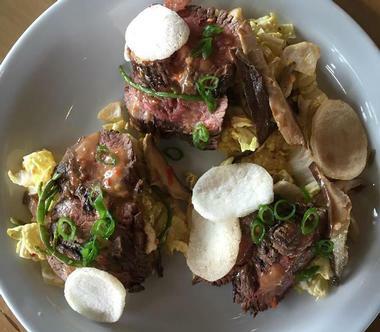 Chattanooga’s restaurants serve an array of cuisines from around the world, including Southern comfort food, American, French, Italian, Mediterranean, Thai and Greek cuisine. Whether you are in the mood for a succulent burger, an amazing pizza, tacos, seafood or sliders, the city has it all. Dine at an intimate eatery downtown or have lunch with a view of the water. 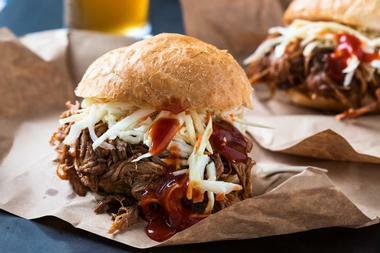 Here are the best places to eat in Chattanooga. Boathouse Rotisserie and Raw Bar offers some of the city’s best riverfront dining and specializes in steak and seafood with regional influences – much of it cooked on a unique wood-fired grill, designed and constructed by the owner. Savor incredible dishes like Truffle Mushrooms Fried, El Scorcho Shellfish Stew, or the Coarsely Chopped Mignon Steak Sandwich. Cocktails, beer, and wine are also available. Seasoned restaurateur Lawton Haygood and his wife Karen opened Boathouse in 2002, and they also own the local Canyon Grill. 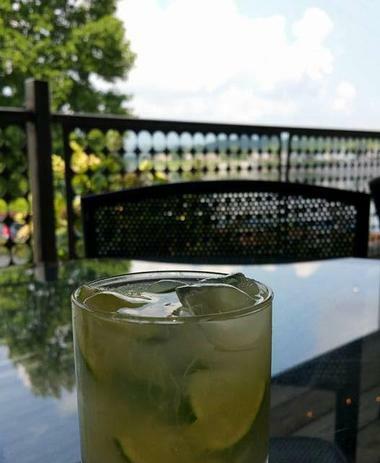 You will find this refined romantic restaurant on the banks of the Tennessee River in the heart of Chattanooga’s stylish Riverwalk. The restaurant also serves craft beer, wine, and cocktails. Rock climbers-turned-entrepreneur friends Max Poppel and Dan Rose opened the eatery in 2013; they are also the owners of The Crash Pad next door. If you are looking for Chattanooga restaurants to celebrate a special occasion, this is a great place to try. 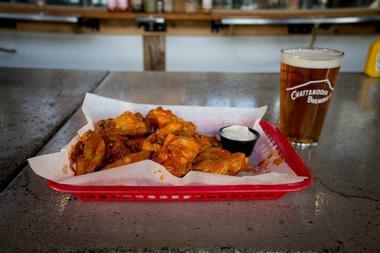 Flying Squirrel bar is located in the heart of downtown Chattanooga. 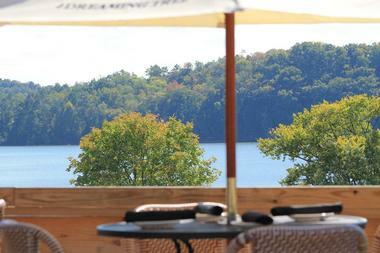 More vacation ideas: 20 Best Weekend Getaways in Tennessee. Alleia is an upscale restaurant that serves lovingly prepared rustic Italian cuisine and boasts incredible views of Lookout Mountain. Treat yourself to amazing dishes like Benton’s Bacon Wrapped Dates, Angel Hair with Gulf shrimp, soffrito, tomatoes, or the Quail Breast. 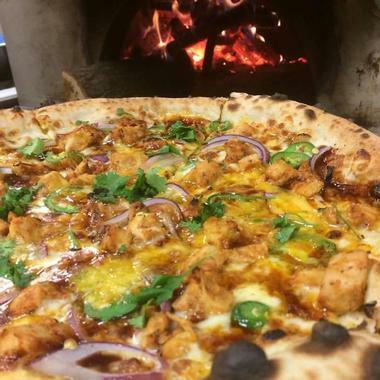 They also have delicious pizzas baked in their handmade masonry oven. Wine and beer are also available, and be sure to save room for gelato. Veteran restaurateur Chef Daniel Lindley, former owner of the iconic St. John’s restaurant, opened Alleia in 2009. Enjoy the cozy atmosphere in this charming eatery, which is situated inside the Old Harrington building in the rejuvenated Southside neighborhood. Acropolis Grill serves some of Chattanooga’s most delicious Greek and Mediterranean cuisine, made from fresh, locally sourced ingredients. 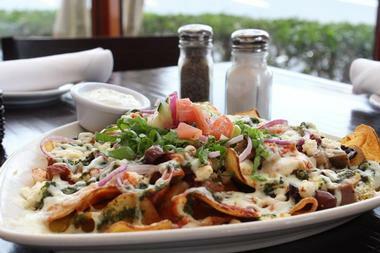 You can’t go wrong with tasty dishes such as the Greek Nachos, Moussaka, Eggplant Napoleon, or the Penne Vienna. Don’t miss their Spanakopita. They also have a full bar with daily specials. Veteran restaurateur and founder Teddy Kyriakidis first opened Acropolis in 1995 and his family continues to own and operate the restaurant today. 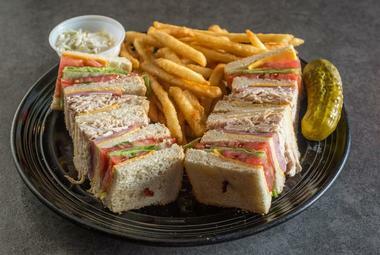 You will find this warm, friendly eatery near Chattanooga’s Hamilton Place Mall in between the Meadow Lawn and Twin Brook communities. More vacation ideas: 25 Best Things to Do in Chattanooga. St. John’s restaurant serves delicious, seasonal, elevated American fare in a casually elegant setting. 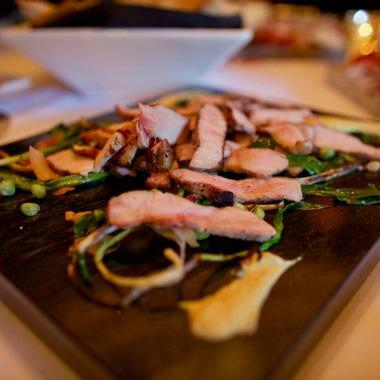 Treat yourself to exquisitely prepared dishes such as the Handmade Potato Pierogi, Heritage Farm’s Pork Tenderloin & Roasted Belly, or Benton’s Bacon Wrapped Monkfish. 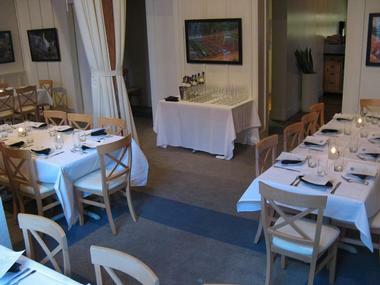 An extensive wine list and selections from a full bar are also available. Renowned restaurateur, Nathan Lindley, founded St. John’s in 2000, Josh Carter, an individual who started at the restaurant as a server in 2000, became an owner in 2005 and continues to own the establishment to this day. This upscale eatery is located in the former St. John’s Hotel building (built in 1909) in the heart of downtown Chattanooga. 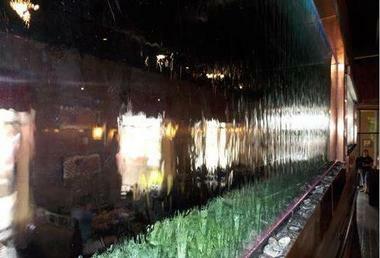 Rain Thai Bistro serves award winning traditional and creative Thai food made from the freshest ingredients. Choose something from the tasty sushi bar or treat yourself to an incredible authentic dish such as the Pad Woosen, Ginger Chicken, Rain’s Crispy Duck, or Masamam Curry. Guests may also choose from selections of beer, plum wine, sake, and cocktails. Owner Gene McGee and his family opened Rain Thai Bistro in 2007. Visit this charming, modern eatery, located at Chattanooga’s Hamilton Place Mall. 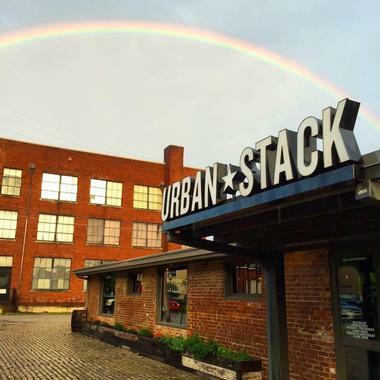 Urban Stack serves up some of the best gourmet burgers in town, and all of them are made from fresh, local, sustainable ingredients. 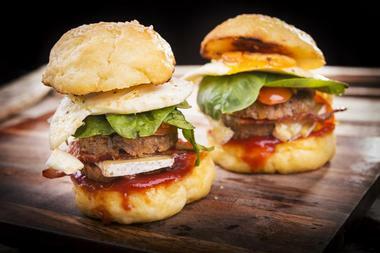 Dive into unbelievable eats such as the Fried Bologna Sliders, Hamburguesa Mamacita, or the Jive Turkey Burger. While their beverage program focuses on whiskey and bourbon, selections of beer, wine, spirits, and cocktails are available. Thriving restaurateurs Mike and Taylor Monen opened Urban Stack in 2010. 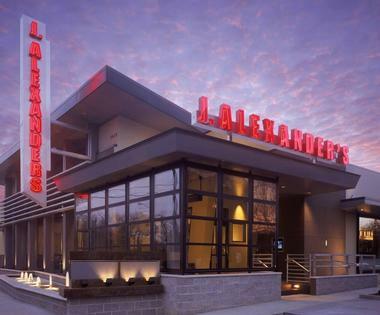 J. Alexander’s was originally founded in Nashville in 1991 by thee businessmen: Jack C. Massey, Earl Beasly, Jr., and John Neff, Jr. It changed ownership in 2012 and has since expanded substantially as a chain. The Chattanooga site is located at the center of the Twin Brook, Meadow Lawn, and Queen’s Lace neighborhoods. Browse great places to visit in Arizona and Utah. Wash it all down with something tasty and refreshing from the full bar. Owner Miguel Morales opened the restaurant in 2013 and runs it with his wife Leslie and daughter Bria. 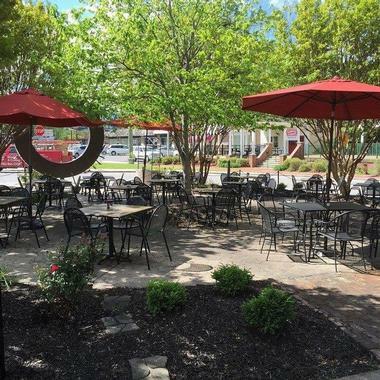 Relax in the friendly, casual atmosphere at 1885 Grill, located in downtown Chattanooga in the beautiful St. Elmo neighborhood. The uniquely chic Bluewater Grille serves award winning handcrafted beer and modern American cuisine that mainly focuses on fresh seafood (particularly from the Northeast coast of Florida). Savor expertly prepared dishes such as the Bourbon-Glazed Salmon, Cajun Fish Tacos, or Grouper Piccata. 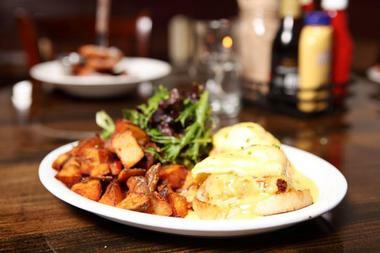 Alternatively, you can visit them for brunch and try the Eggs Benedict Over Crab Cakes. Accompany your meal with one of their flagship beers or something from the full bar. Bluewater Grille has been in business since 2006 and is owned by CraftWorks Restaurants & Breweries, Inc. If you are looking for downtown Chattanooga restaurants, this is a great place to try. You will find it across from the Tennessee Aquarium. Places to stay: the The Chattanoogan. More TN destinations: Best Things to Do in Nashville. Road trip ideas: 10 Best Things to Do in Pigeon Forge. You may also like: 25 Best Things to Do in Chattanooga.